Did you know that we regularly share community images on our Instagram account? Across all our online communities, Behind the Paper is our most popular channel. It’s where authors can share their stories about a recent paper they’ve published, whether that’s how serendipitous the findings were, or the challenges of data collection as well as more personal anecdotes that happened along the way like celebrating new arrivals, remembering and paying tribute to those that have passed, and the excitement and joy of global collaboration and friendship. But these posts don’t just offer a unique insight into someone else’s experience of research and publication and how this might differ to yours; they are also a great source of spectacular photos, illustrations, figures and videos that you might not necessarily see alongside the formal paper. We wanted a way to share some these amazing images (and their accompanying community post). 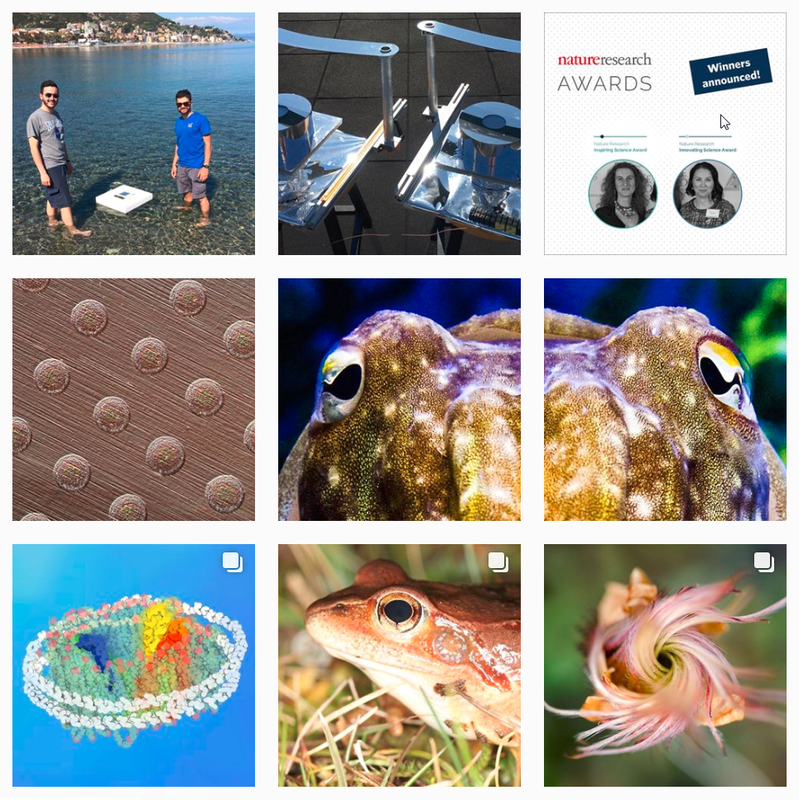 And so the Nature Research Instagram account was born. The majority of content shared on this channel comes from your behind the paper posts, and now eighteen months after our first post, we’ve just reached 40K followers, so it seems like a great opportunity to say: Thank You. Thank you for complementing your behind the paper posts with brilliant images and letting us share them on Instagram, like this spectrometer image from Anna Schweiger and this foot photo from Colin Donihue. Are you on Instagram? Let us know. And don't forget, you can also post images to the community using the Gallery channel (we share images from there too). Poster image: Chemical fireworks by Xiaopeng Li.